We welcome Liu Cheng and Zhang Jianjun who have with their colleagues and citizens established Nanjing, China as an International City of Peace. Mr. Liu Cheng is Professor for History, Director of Institute for Peace Studies, in School of History, Nanjing University. Mr. Zhang Jianjun is curator of the Memorial Hall of the Victims in Nanjing Massacre by Japanese Invaders, the executive director of Institute of Nanjing Massacre History & International Peace and the chief editor of the academic journal Japanese Invasion of China History Research, and popular journal on history Purple Grass. Nanjing is the ancient capital of the Six Dynasties in China. In 2016, the resident population of Nanjing was 8.27 million. It is in the forefront of China’s biggest cities in the fields of economy, education and urban construction and so on. Nanjing is a famous ancient capital with a thousand years of history, but it was also destroyed by the most brutal war in twentieth Century. The Japanese massacre in Nanjing left the city with indelible memories. The peace brought about by the welfare of people and the disasters caused by war made Nanjing people more aware of the profound significance of peace. Nanjing University is the first university to conduct research of peace studies in China and it set up the first Institute for Peace Studies among all universities in China. 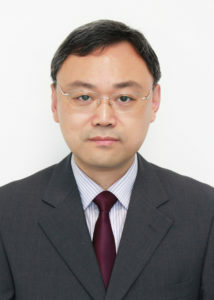 Prof. Liu Cheng, the leading figure of peace studies in China, is the director of the institute. On March 1st 2017, UNESCO Chair on Peace Studies is set up in Nanjing University and it is the only chair on Peace Studies in China. The objective of the chair is to establish a comprehensive system including peace research, training, information exchange and literature compilation. It will promote cooperation between famous scholars and teaching staffs of universities and other institutions from China, Asian-Pacific region and other regions of the world. Prof. Liu Cheng is the Chair holder of UNESCO Chair on Peace Studies. Institute of Nanjing Massacre History & International Peace was established on March 1, 2016, which is currently affiliated to the Memorial Hall of the Victims in Nanjing Massacre by Japanese Invaders. As one of the first high-level think tanks in Jiangsu Province, the Institute focuses on researches in the history of Nanjing Massacre, the history of Japanese invasion, the history of Anti-Japanese War, the history of Sino-Japanese relations and peace studies. Besides, the Institute focuses on collecting, studying and assessing cutting-edge and dynamic information and making corresponding responses, thus it makes its own influential achievements. 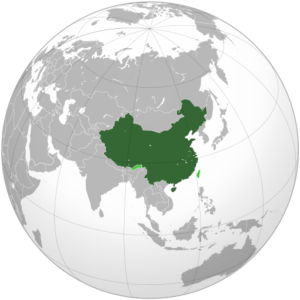 The Institute is the source think tank of China Think Tank Index (CTTI). In 2001, Department of History, Nanjing University has established formal cooperative relations with Research Center of Peace and Resolution in Coventry University. In 2003, Courses of peace education were brought into classrooms in universities and citizens’ classrooms in Nanjing. In 2004, the courses of Peace Studies for undergraduates and post-graduates have been launched and Masters and Doctors for Peace Studies were enrolled in Nanjing University. Scholars both at home and abroad have been invited to give nearly 100 lectures in colleges and universities in China. Peace Studies have been promoted to more than 20 universities in the southeast, northwest, northeast, southwest, and south-central areas of China. Courses of Peace Studies have been established in primary and secondary schools in Nanjing, such as the High School Affiliated to Nanjing Normal University. 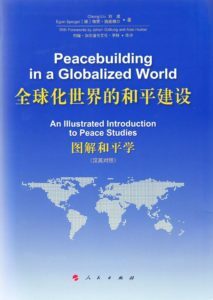 Prof. Liu Cheng has published the first textbook of Peace Studies in China and the first series of books of “growth on peace” (three volumes) for primary and secondary schools. Nanjing University has established cooperative relationships with universities and institutions of Peace Studies in Britain, Japan, Germany, US, South Korea, Australia, Norway, Canada, Netherlands, Poland, India, Austria, Israel, Burma and Cambodia. Cooperative Universities abroad: Coventry University, George Mason University, University of California, Berkeley, University of San Francisco, University of San Diego, Columbia University, Ritsumeikan University, International Christian University, Meiji Gakuin University, The University of Sydney, University of Vechta, University of Calcutta, Indian Rum Krishna Kalanda Church University, Cambodia Center for Peace and Conflict Studies. Cooperative Organizations: UNESCO, TRANSCEND International, IPRA (International Peace Research Association), PJSA (Peace and Justice Studies Association), APPRA (Asia-Pacific Peace Research Association), Charhar Institute, NARPI (Northeast Asia Regional Peacebuilding Institute), United Board (United Board for Christian Higher Education in Asia), etc. Since 1980s, several museums with historical topics have been established. Some of the famous ones include the Memorial Hall of the Victims in Nanjing Massacre by Japanese Invaders, Nanjing Civil Museum of Anti-Japanese War, the John Rabe and International Safety Zone Memorial Hall, the Museum of the Site of Liji Lane “Comfort Stations” in Nanjing, etc. These museums hold exhibitions of peace culture and war memory throughout the year, which offer cultural support to the construction of Nanjing City as a city of peace. 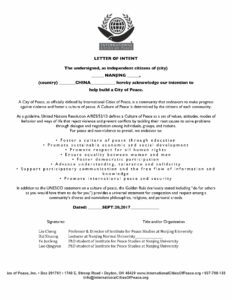 We are committed to setting up a platform for international exchange on peace and participation of important international activities of peace, to build the image of Nanjing as the city of peace, communicate the information of peace from Nanjing and promote the association of international cities of peace. Centered on Nanjing and based on the unique history and culture of Nanjing, we are committed to promoting peace and the construction of cities of peace in China, Northeast Asia and the world. As one of the typical martyrdom cities in World War II, the values and culture that Nanjing generates on peace and the voice it makes in the international community, together with the achievements it makes on peace will offer references for the construction of cities of peace for those cities with similar experiences worldwide. We take efforts to advance peace education in primary and secondary schools and gradually incorporate peace courses into the course system of basic education in Nanjing. We will select pilot universities to launch courses of peace studies and conduct talents cultivation on peace studies and international student exchange programs, thus to promote the interdisciplinary construction of peace studies in universities. We will carry out peace education activities on National Memorial Day and International Day of Peace, and advance the network building of peace education in schools, communities and society, in order to form the universal peace education in Nanjing. We will hold art exhibitions and recreational and sports activities on peace to create a good social atmosphere for the construction of the international city of peace. We will hold public lectures for civilians, host international peace forums and organize volunteer activities on peace. We inspire all sectors of the society to participate the construction of the international city of peace in different ways. We will incorporate culture essence and peace elements into the comprehensive landscape arrangement of Nanjing as a city of peace. We take efforts to protect the historical sites, and plan to develop characteristic tourist routes on peace. We will also develop local cultural and creative products of peace, to promote the interdisciplinary combination of excellent cultural products and tourism. We lay emphasis on the functional construction of peace museums, and form partnership with peace museums and peace memorial halls in other countries of the world. Based on the normalized communication and cooperation, we jointly plan and hold exhibitions on peace. We take efforts to incorporate the construction of Nanjing city as an international city of peace into the overall planning of social development of the municipal government. We are committed to setting up a sound interactive mechanism among the municipal government, universities, corporations, think tanks and NGOs, to create the synergistic effect. Liu Cheng, born in 1964, is Professor for History, Director of Institute for Peace Studies, in School of History, Nanjing University. He holds concurrent posts as vice president of Society of World History of Jiangsu Province, member of China British History Association, vice director of The Center for Collaborative Innovation in the South China Sea, director of Peace Studies Center in The Institute of Nanjing Massacre History & International Peace, senior researcher of The Charhar Institute, vice president of Peace Culture Research Association of Hunan Province, member of the executive committee of Northeast Asia Regional Peacebuilding Institute, member of Asia-Pacific Peace Research Association, member of China in Transcend International. Mr. Liu is one of the leading figures of science and technology supported by “333 High-level Talents Training Project” of Jiangsu Provincial Government (2007), and is supported by “New Century Talent Support Program” of Ministry of Education. Until now he has published 10 books, 4 Chinese translation books, more than 70 papers and edited two series of books. 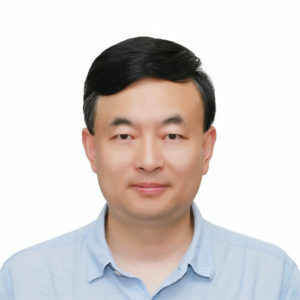 Zhang Jianjun, born in 1968, is the curator of the Memorial Hall of the Victims in Nanjing Massacre by Japanese Invaders, the executive director of Institute of Nanjing Massacre History & International Peace and the chief editor of the academic journal Japanese Invasion of China History Research, and popular journal on history Purple Grass. Mr. Zhang has edited and compiled the books such as Media Operation of Nanjing Youth Olympic Games, Cogent Evidence: Documents of the Nanjing Massacre, and Nanjing Will Not Forget. Some of his articles were published in newspapers like People’s Daily, Guangming Daily, and magazines like General Public, Decision-making, etc. He also planned the exhibition of “Common Witness: the Nanjing Massacre” with the focus of historical facts in France and other countries. In addition, he worked on the designing work of the flow of National Memorial Ceremony for the Victims in Nanjing Massacre and some other related thematic education activities, and he has been dedicated to the internationalization and popularization of the history of Nanjing Massacre. Nanjing, formerly romanized as Nanking and Nankin, is a city situated in the heartland of the lower Yangtze River region in China, which has long been a major centre of culture, education, research, politics, economy, transport networks and tourism. It is the capital city of Jiangsu province of People’s Republic of China and the second largest city in the east China region, with acreage about 6600 square kilometers and a total population of 8,230,000. The inner area of Nanjing enclosed by the city wall is Nanjing City (南京城), with acreage of 55 km2, while Nanjing Metropolitan Region includes surrounding cities and areas, with acreage over 60 thousand km2 and population over 30 million. Nanjing has a prominent place in Chinese history and culture, having served as the capital of various Chinese dynasties, kingdoms and republican governments dating from the 3rd century CE to 1949. The city has a number of other names, and some historical names are now used as names of districts of the city; among them there is the name Jiangning or Kiangning (江寧, literally “Yangtze’s Peace”), whose former character Jiang (江, River) is the former part of the name Jiangsu and latter character Ning (寧, simplified form 宁, Peace) is the short name of Nanjing. When it was the capital of a state, for instance during the ROC, Jing (京) was adopted as the abbreviation of Nanjing. It first became a Chinese national capital as early as the Jin dynasty, and the name Nanjing was officially designated for the city during the Ming dynasty, about a thousand years later. Nanjing is particularly known as Jinling or Ginling (金陵, literally “Gold Mausoleum”) and the old name has been used since the Warring States period in the Zhou Dynasty. Located in Yangtze River Delta area and the center of east China, Nanjing is home to one of the world’s largest inland ports. The city is also one of the fifteen sub-provincial cities in the People’s Republic of China’s administrative structure, enjoying jurisdictional and economic autonomy only slightly less than that of a province. Nanjing has been ranked seventh in the evaluation of “Cities with Strongest Comprehensive Strength” issued by the National Statistics Bureau, and second in the evaluation of cities with most sustainable development potential in the Yangtze River Delta. It has also been awarded the title of 2008 Habitat Scroll of Honour of China, Special UN Habitat Scroll of Honour Award and National Civilized City. 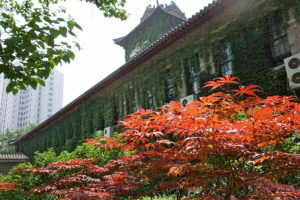 Nanjing boasts many high-quality universities and research institutes, with the number of universities listed in 100 National Key Universities ranking third, including Nanjing University and Southeast University. The ratio of college students to total population ranks No.1 among large cities nationwide. Nanjing is one of the top three Chinese scientific research centers, especially in the chemical sciences, according to the Nature Index. Nanjing, one of the nation’s most important cities for over a thousand years, is recognized as one of the Four Great Ancient Capitals of China. It has been one of the world’s largest cities, enjoying peace and prosperity despite wars and disasters. Nanjing served as the capital of Eastern Wu, one of the three major states in the Three Kingdoms period (211–280); the Eastern Jin and each of the Southern Dynasties (Liu Song, Southern Qi, Liang and Chen), which successively ruled southern China from 317–589; the Southern Tang, one of the Ten Kingdoms (937–76); the Ming dynasty when, for the first time, all of China was ruled from the city (1368–1421); and the Republic of China (1927–37, 1945–49) prior to its flight to Taiwan during the Chinese Civil War. The city also served as the seat of the rebel Taiping Heavenly Kingdom (1851–64) and the Japanese puppet regime of Wang Jingwei (1940–45) during the Second Sino-Japanese War. It suffered appalling atrocities in both conflicts, including the Nanjing Massacre. 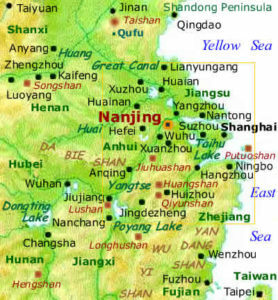 Nanjing has served as the capital city of Jiangsu province since the establishment of the People’s Republic of China. It boasts many important heritage sites, including the Presidential Palace and Sun Yat-sen Mausoleum. Nanjing is famous for human historical landscapes, mountains and waters such as Fuzimiao, Ming Palace, Chaotian Palace, Porcelain Tower, Drum Tower, Stone City, City Wall, Qinhuai River, Xuanwu Lake and Purple Mountain. Key cultural facilities include Nanjing Library, Nanjing Museum and Art Museum.